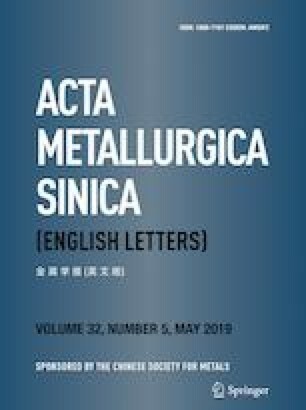 The influences of pin offset on the formation, microstructure and mechanical properties of friction stir welded joint of Ti6Al4V and AZ31B Mg dissimilar alloys were investigated. The results show that sound joints are obtained at different offsets. With the offset decreasing from 2.5 to 2.1 mm, the number of Ti alloy fragments is increased, and the stir zone (SZ) is enlarged and the grains in SZ become coarser. A hook-like structure is formed at the Mg/Ti interface and its length is increased with the decrease in pin offset. The Al element has an enrichment trend at the Ti alloy side near the Mg/Ti interface when the offset is decreased, which is beneficial to the bonding of the interface. An Al-rich layer with a thickness of 3–5 μm forms at the offset of 2.1 mm. All the joints fracture at the interface and present a mixed ductile-and-brittle fracture mode. The joint tensile strength is increased with the offset decreasing from 2.5 to 2.1 mm, and the maximum tensile strength of 175 MPa is acquired at the offset of 2.1 mm. Qi Song and Zhong-Wei Ma have contributed equally to this work. This work was supported by the National Natural Science Foundation of China (No. 51705339) and the Aeronautical Science Foundation of China (No. 20171125002).